Why Server Speed is Important for Increasing Revenues? Faster loading speed and targeted content are vital elements for increasing sales for your business online. A second’s delay in page loading can result in contributing to 10% of page abandonment. If your website takes long to respond, you are literally killing the sales and revenue of your website. Some of the latest surveys show that loading speed of websites directly impacts the amount of traffic directed to your website, a slow website can frustrate your potential customers which is something that you don’t want. 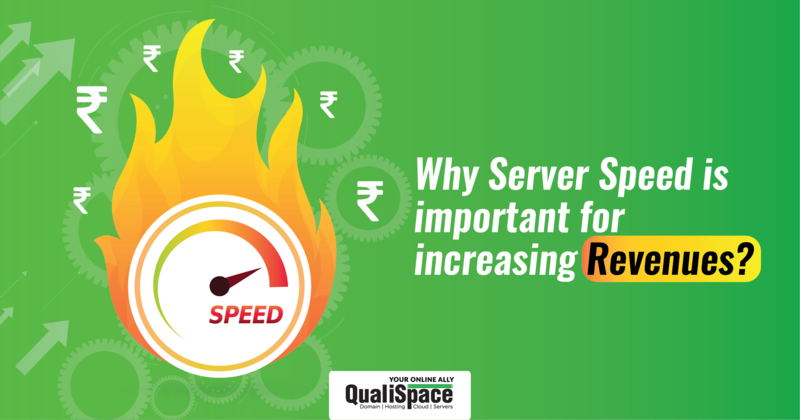 Read on to know why the speed of the server is important to increase your revenue. According to studies, if your website isn’t accessible in 3 to 6 seconds, visitors start to abandon the website. A slow website will decrease your sales and give a negative perception of your brand to your customers. This way your potential customers will stay on your page longer to look at what you are trying to sell rather than waiting for it to load. WHAT IS THE IDEAL TIME FOR WEB PAGE LOADING? If your website becomes visible in 5 seconds, the speed seems to be good, but the ideal loading time of a website must be below 3 seconds. Under 10 seconds is fair, but any website that takes more than 10 seconds to load can lose ranking and conversion. There are a number of tools that are available to report the performance of your website. You can also optimize the structure of your code to make your website faster, but a good hosting power is something that you need in order to execute your application and website faster. Your website speed depends on website architecture, databases and hosting server speed. Getting the right web hosting solutions is very important for your business. Shared hosting and dedicated hosting are the two kinds of hosting solutions that are available online. While shared hosting has a low price and is designed to deliver small websites with minimal traffic, dedicated hosting is more expensive and caters to bigger websites. Businesses are now adapting dedicated servers for more power and better performance. Speed is an issue when your website resides on a shared hosting service that is catering to thousand other websites. Hence, a fast-dedicated server can make a huge difference to the performance of your website and will give you the following advantages. So far it has been established that web hosting and choosing the right kind of solution is important for a fast and responsive website. If you want to achieve high SEO rankings for your website, it is important that you choose a hosting service that offers impressive server speeds.